The Cost of Sugar, Surinam’s most popular novel headlines Dutch Film Festival, September 25! HopeRoad’s recent publication of Cynthia Mcleod’s gripping historical novel The Cost of Sugar (Hoe Duur was de Suiker) in paperback is just ahead of its’ film premier at the Dutch Film Festival on Tuesday September 25. I bumped into this story by accident about five years ago. I was surprised that I’d never heard about it before and that apparently nothing had been done with it until then. It is a special and true story shedding light on a dark period in our history. But above all it is a story containing all the necessary elements – like despair, love, hope, treason and determination – to make a beautiful film. Do you have a special relationship with Curacao? I spent most of my youth on Curacao, so that the island is automatically ‘special’. There is not much more to it than that, though. The Curacao from my youth is very different from Curacao as it is today. This nostalgia might have been of influence in choosing this subject matter but for me this was definitely not decisive. Did you have much influence on the script? I spent a lot of time on it. After I’d buried myself in the story I listed all the historical facts. That doesn’t tell you anything about the characters of the people involved though. Next thing I did was to write a brief outline of the story as I pictured it. I wasn’t pleased with the direction which the first couple of drafts of the script took. So then I wrote an elaborate outline, which I developed into the book ‘Tula, Verloren Vrijheid’ later on. I had a fair number of arguments with the American screenwriter, Curtis Holt Hawkins, during the process but I think we worked things out rather well in the end. Were you determined to film on Curacao or have you considered taking a different location? The idea to shoot the film on Curacao existed right from the start because many of the original locations still exist. It lends style to the film to know that the scene you’re filming actually took place on that location. We did however at some moment consider moving to South Africa. This would probably have made things easier on a logistic production level but in the end we decided to film on Curacao. Was it challenging to film on an island with hardly any film industry of its own? It certainly wasn’t easy at all times. It simply means you have to fly almost everything in. We worked with a crew that consisted mostly of English people but fortunately we were also able to get support from several local crew members. Without a Curacao network and knowledge of the situation and rules at the island it probably would have proved impossible to make the film on that location. How did Curacao respond to your film plans? Did this way of bringing the times of slavery to the attention of the public appeal to the Curacao people? They were very positive about it, although we did of course receive critical remarks during our preparations, too. In the end slavery is something from the past that we share. How this story is presented is crucial. We tried not to judge but to leave that to the viewer. Did it take you long to find the right locations? Or were the original locations still (at least partly) intact and useable? Many of the locations were still intact and could be used with some set dressing. In some cases we had to move to different locations of course, but we were able to find everything on the island. Did you already have actors in mind when you read the script? Making our wish list regarding the cast is something we started with very early and which took us a long time to complete. The Dutch cast didn’t take very long because the characters in the film really need certain types. Jeroen Willems in particular is a good example of this. It’s taken me until two weeks before the shooting started to get him on board this film. And indeed he turned out to be the only right choice for this part. It’s terrible that he died recently. How did the cast come about? Did all of the actors audition or did you offer an actor like Danny Glover his part at once? If you know who you want for a role you don’t let people audition for it. That was the case with Danny Glover but also with most of the Dutch actors. In England I did do some auditions. The English cast was selected by Jeremy Zimmerman and I must say this speeded up the process immensely. On Curacao we did a couple of casting rounds as well because we wanted to give local actors a chance to participate in this production too. Why did you choose to make an English-speaking film and not let the slaves speak Papiamento among themselves? The most important thing for me was that the film be able to reach a large audience. Language has been an issue throughout the making of the film. For instance, one of the consequences of our decision not to make the film Dutch-speaking was, that we didn’t get financial support from any Dutch fund. Still I considered English the most logical option. What’s more, English offers a range of possibilities in the filed of actors and actresses. It works very well in the international blend of Dutch, English, American and Curacao actors we assembled, judging from the atmosphere on the set. Do you expect to be criticized because people will see the film Tula the Revolt as yet again a white impression of slavery? There will undoubtedly be criticism. I can hardly imagine being criticized for presenting a white view on slavery, though. We’ve made a great effort to build and check this story with the help of local historians. I really think this is an honest story that does this common history justice. Of course it has been romanticised but I think that in essence the film gives a good impression of the mutual relations at the time. Is it unintentional that the release of the film coincides with other films about slavery, like Tarantino’s ‘Django Unchained’? The fact that attention is drawn to this issue in the Netherlands is not coincidental. It has to do with slavery being abolished by the Dutch 150 years ago. The release of a film about slavery in the United States may be a coincidence but I think that the time has simply come to deal with subjects like slavery in films. Even if it’s just to acknowledge that this grave injustice actually existed. That simple fact alone would be of great help to understand the way the world looks today. TULA – The Revolt was finally released last month with it’s premier in The Netherlands. 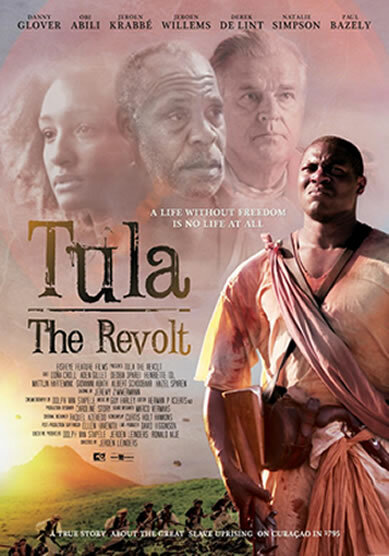 TULA – The Revolt is a fact-based historical drama starring Danny Glover, among an international cast, which was directed by Jeroen Leinders who is also the book’s author. 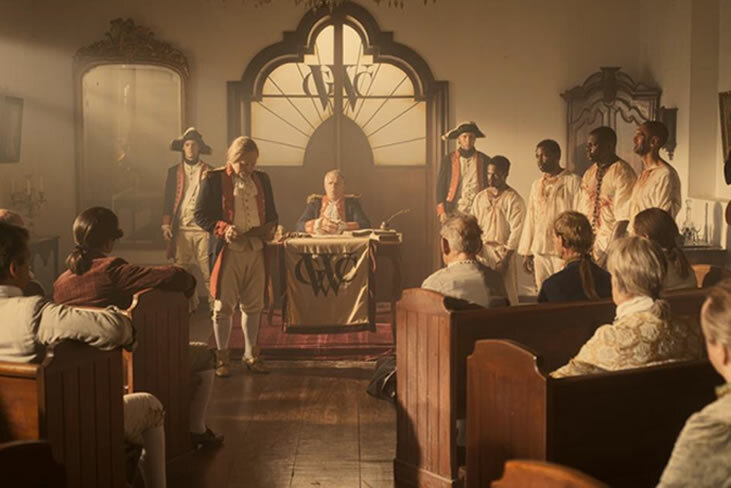 It’s based on the true story about the Great Slave Revolt on the Caribbean island of Curaçao in 1795 led by Tula. We’re pleased to announce that we will be publishing the English translated version of this work, which will be available in both print and ebook format from our site soon. Visit HopeRoad for details. You can like Tula on Facebook. 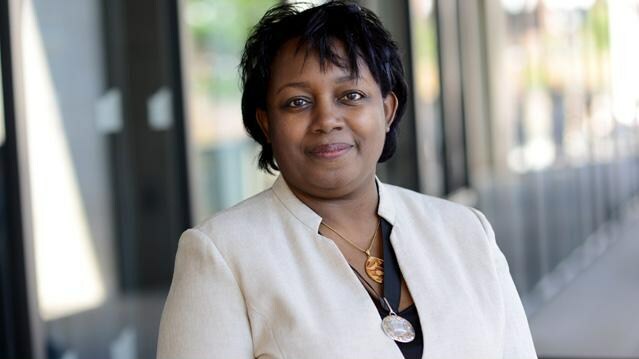 Congratulations to Malorie Blackman who was crowned Children’s Laureate for 2013-2015 this week. Blackman, who is known for her hugely successful Noughts and Crosses series and the groundbreaking Pig Heart Boy which was adapted into a BAFTA award-winning BBC series, is the first black woman to be awarded the honour. Blackman was spurred to write when she noticed the absence of black characters in the fairytales and novels she enjoyed reading as a child, “I was aware that I was not in the books I was reading. I still remember feeling I was totally invisible in the world of literature”. Blackman definitely isn’t invisible now, having published over sixty books and has even been immortalised in the music world by Tinie Tempah who in Written in the Stars raps, “Look I’m just a writer from the ghetto like Malorie Blackman”. Since her appointment as the eighth Children’s Laureate, Blackman has already taken on Education Secretary, Michael Gove, whose proposed new history curriculum would have a more national emphasis at the expense of multiculturalism, “I do feel it’s very dangerous if you make it seem like history is the province of a certain segment of society. History should belong to and include all of us. The curriculum needs to appeal to as many children as possible or a number of them could become disenchanted with education because it’s not relevant”. In January HopeRoad ran a feature on Blackman’s and other eminent authors’ stand, against Gove’s bid to remove Mary Seacole from the national curriculum. Blackman has long been a champion of diversity in literature and it seems she is not planning to back down now that she has received one of literature’s most prestigious accolades, “We need more books that are specifically about the BME British experience, and that’s why I bang the drum for getting rid of the idea that if a book contains pictures of a black or Asian child, it’s going to have a limited audience”. In Written in the Stars Tinie raps that those marginalised in society need to “just keep screaming until they hear you out”, but it seems that Blackman realised that the pen is mightier than the voice and wrote until she was heard. HopeRoad’s Mary Seacole by Ron Ramdin can be bought here. HopeRoad author, Balraj Khanna will be opening the digital doors to his virtual gallery from the 6th–16th June. Balraj’s paintings have been described as “buoyant, engaging and festive”. To register for the viewing, please visit www.ajourneyofhisown.com. Balraj’s The Mists of Simla is available on HopeRoad. Authors Zadie Smith, Andrea Levy, Michael Rosen and Malorie Blackman are supporting a petition seeking to keep nursing heroine Mary Seacole on the national curriculum.